Depending on weather conditions, a distance race of 10–20NM around CBYRA Regions 2 & 3 marks passing through the Chesapeake Bay Bridge. The course will be announced on VHF 72 and will be designated using placards on the Race Committee Signal Boat at the starting line, showing the Region and the CBYRA letter designations of the marks to be utilized in each Region in order to sail the course. GIYS will host a Dock Party (cookout, keg, and cash bar) at 1730 on Saturday 14 May at the GIYS Boathouse for competitors in the SCC–GIYS Spring Regatta and the MRSA Spring Classic and guests. Party tickets may be purchased separately. Party tickets purchased on line by 2400 7 May are $20 per person. Tickets purchased after 2400 7 May are $25 per person. Free overnight dockage or mooring and tender service for yachts competing in the SCC-GIYS Regatta. Call the GIYS Harbor master on VHF 78A for instructions. For arrivals by car, contact GIYS Harbormaster in advance at 410.255.7632 or email giys@gibsonisland.com. Please note the following changes to the start table in Paragraph 9. The CHESSS Spinnaker and J30 Class are combined to a new class called "CRCA Pocket Cruiser". This class will start first with a warning time of 10:30. 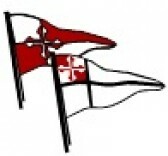 The Class flag for "CRCA Pocket Cruiser" will be "Delta". Only the CRCA Pocket Cruiser will not be required to fly its class flag while racing. The start times for all other classes will be adjusted to accommodate this addition. Handicap Finishing Times will be corrected using Time on Time scoring. The TCF factor is calculated by this formula: A / (B + PHRF).